The mission of The Friends of IOCS is to bring together the community of IOCS supporters worldwide. It is open to current students and alumni, to all who love the Institute and are interested in building and supporting a vibrant Orthodox Christian educational ministry in Cambridge, to anyone who wants to give something back or contribute to its future. The vision is to work in partnership with the Staff and Trustees to raise the profile of IOCS as a place with something unique to offer in Christian Orthodox education, research and outreach in the English-speaking world. This vision is rooted in the established presence of IOCS in Cambridge, in the inspiring legacy of our founding fathers – at the same time pan-Orthodox and ecumenically aware -, and in the profound sense of committed service and mission at the heart of our continuing plans. In a testament to the world-wide reach of the Institute, but also to the diversity of our present and past students and supporters, the Friends of IOCS will initially have both a UK and a USA arm. 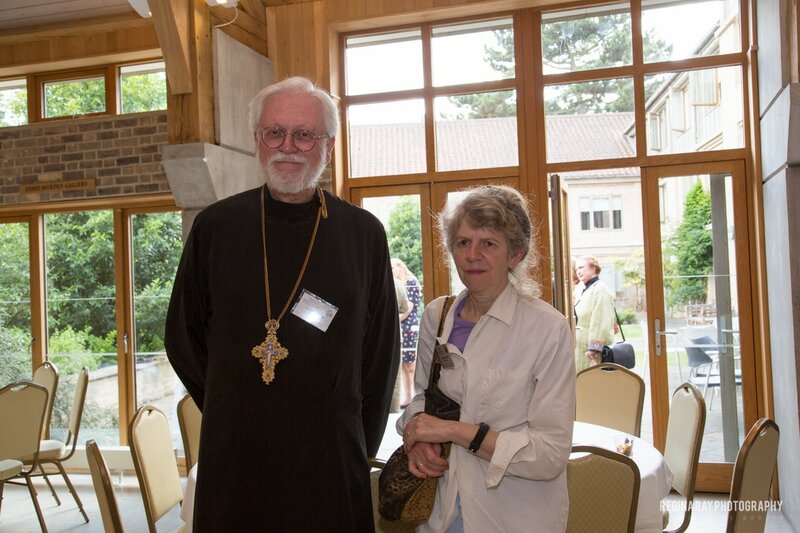 The founding chairs of these branches are: Dr Elizabeth Theokritoff in the UK and Fr David Lowell in the USA. Please watch them introduce the ‘Friends of IOCS’ project in the video below (recorded during the celebratory event in support of IOCS – ‘Standing at the Crossroads: Challenges and Opportunities for Orthodoxy in the West. Building on two decades in Cambridge’ (17 June, Magdalene College, Cambridge). In furtherance of these aims, Friends will organise or facilitate – in consultation with IOCS – events appropriate to the communities or individuals taking part. We invite you to talk to the Chairmen of the UK or US branch of the Friends and bring your ideas of how you might be able to help with such activities. What are the benefits of being a Friend of IOCS? How to sign up as a Friend? All the Institute’s existing supporters and donors are already considered as part of the Friends community and stand to benefit further for their continued backing. – by making a regular or a one-off donation to support IOCS. If you do not want to enrol as a Friend but would like to keep abreast with developments and activities, you can sign up for the Friends Newsletter. Metropolitan Anthony of Sourozh, one of the founding Fathers of the Institute, at one of our events in the early days of IOCS.